An older example, this design is still available to buy new. 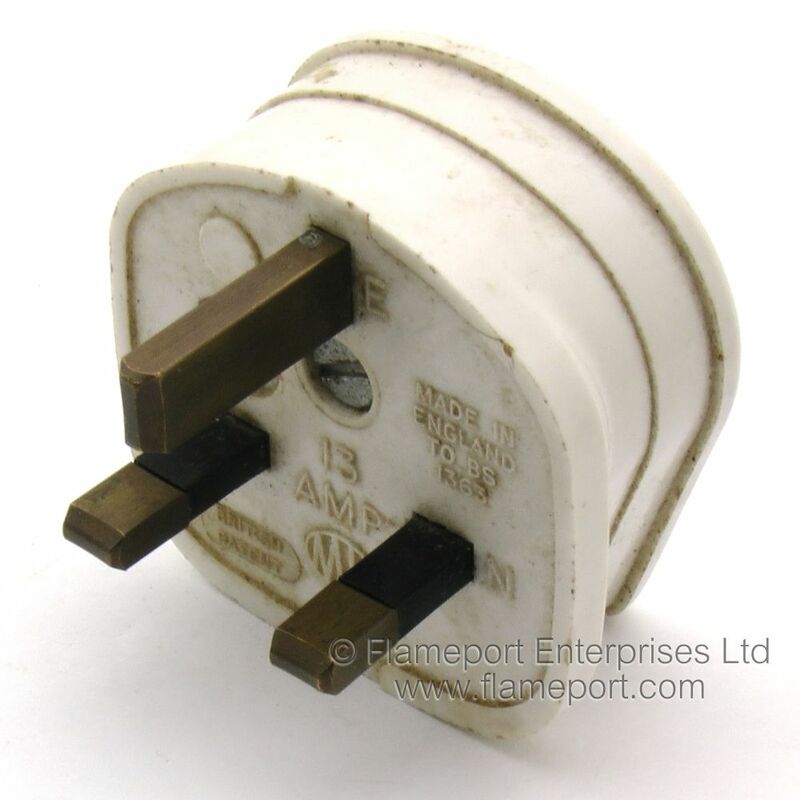 This is a standard MK 13A plug, and is probably one of the best BS1363 plugs available. This design was also made with various other logos on the lid, mainly those of electrical appliance manufacturers. 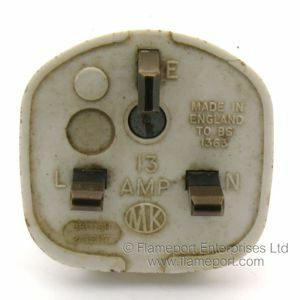 This example has a 5A BG brand fuse fitted - the original fuse would have been an MK one. 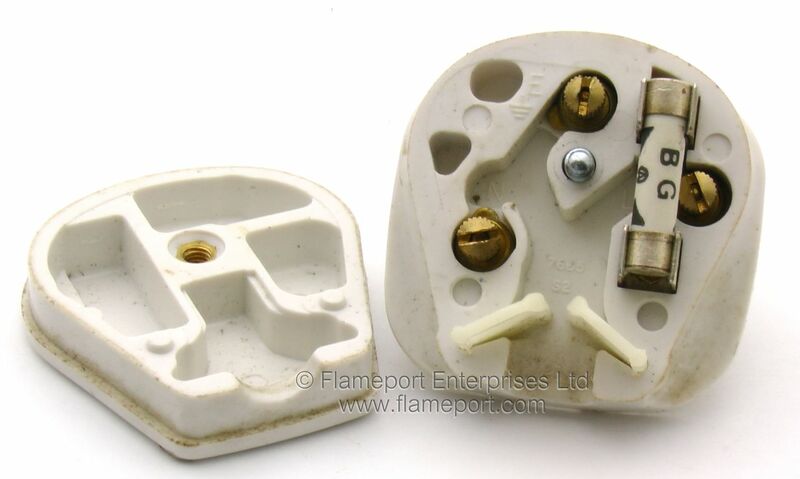 The terminals are the style where the wire is wrapped around a post and a clamp screwed on from above. Pins are identified with L N E, and the oval MK logo is positioned at the lower centre. 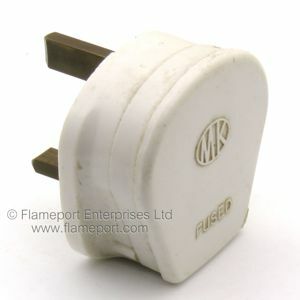 This style of plug is still manufactured, the only difference being the MK logo is the modern rectangular one.